Myth #17: The essential oils of birch and wintergreen contain the compound methyl salicylate which is also found in aspirin. The truth is that no essential oils contain anything found in aspirin. 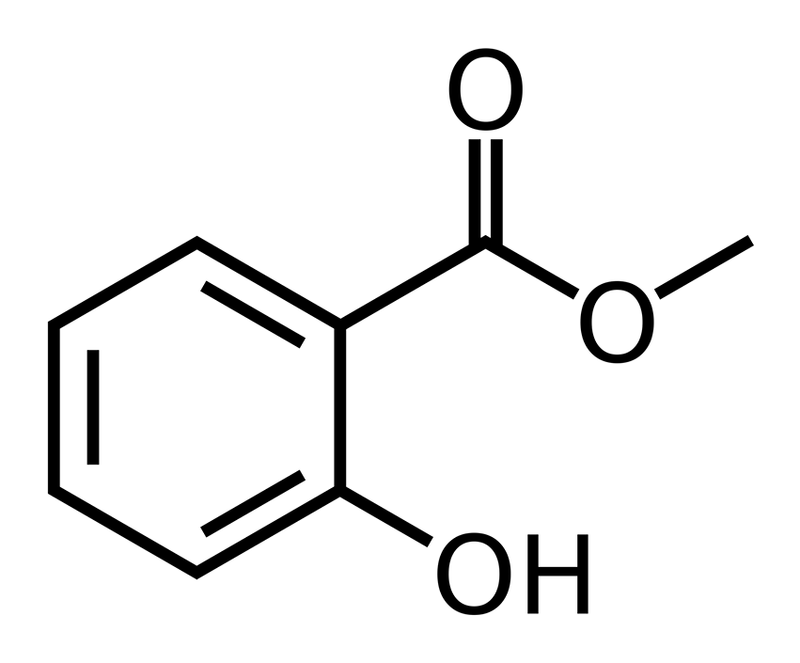 Aspirin is the chemical acetylsalicylic acid and has the structure shown below. 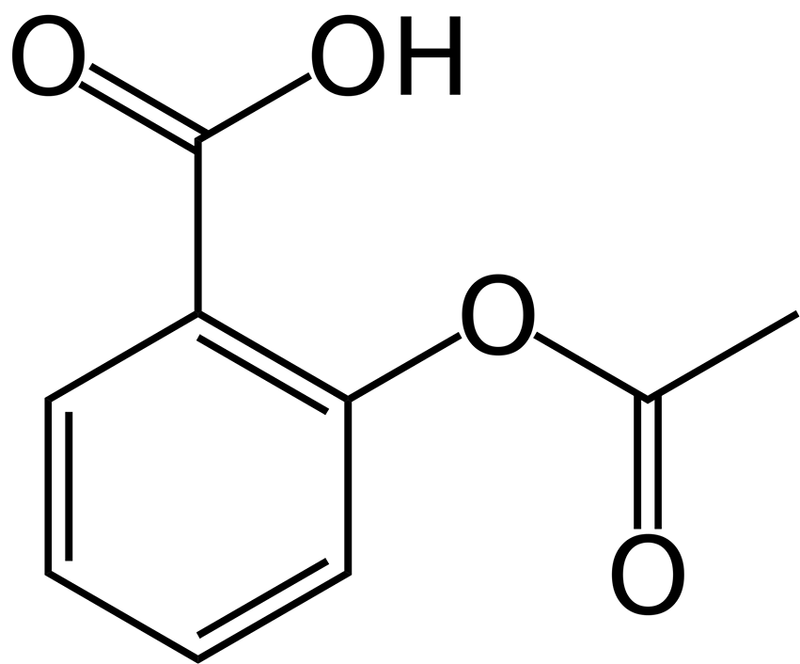 Wintergreen and birch oils on the other hand contain about 99% methyl salicylate (see structure below) which has some structural similarities but is not the same chemical as aspirin and does not behave the same way. Chemistry in biological systems is very specific, even molecules that are much more similar in structure than methyl salicylate and aspirin can have drastically different effects in the body. This is why it's so important to get the chemistry right when discussing and educating people about essential oils.